If you have an existing flat roof made of felt, asphalt or fibreglass, we can make it leak free without removing the roof surface. This service is up to 20yr manufacturer guaranteed. We install waterproofing to flat roofs using the market leading Protec by Polyroof. We work directly with property owners, or through sub contracting. This service comes with a 20 year manufacturer guarantee. 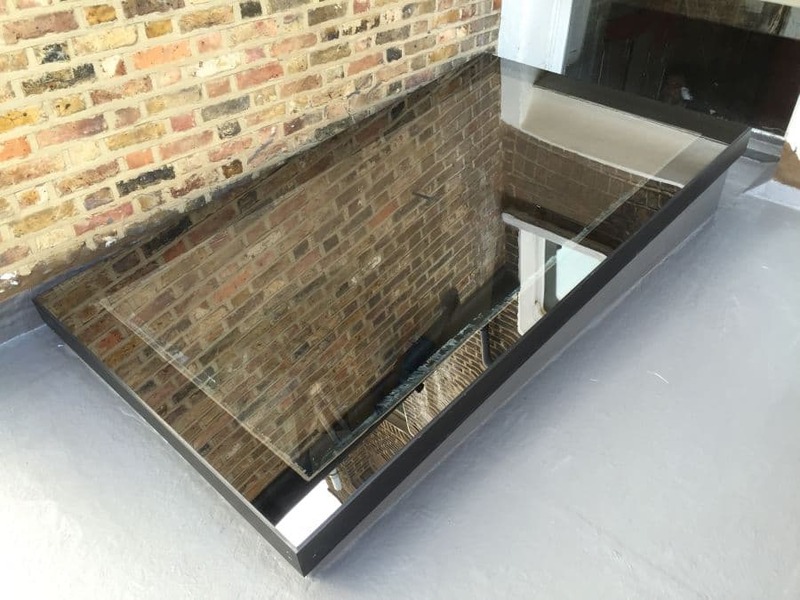 We can install rooflights into flat roofs and replace existing rooflights. We work closely with www.skyglaze.co.uk who manufacture very high quality contemporary rooflights but also install Velux and other brands where desired. All our work is guaranteed leak free. Cold applied, providing a tough seamless membrane. 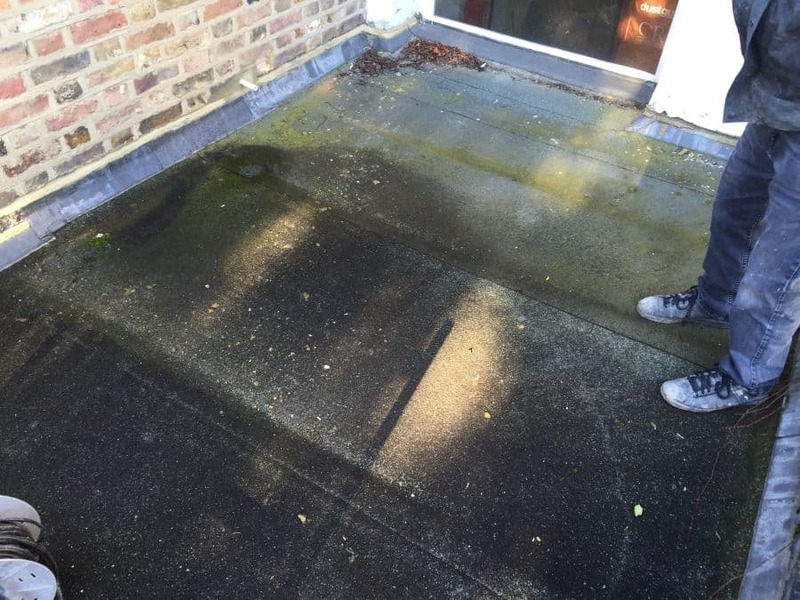 Cost effective – price competitive with other flat roof materials. 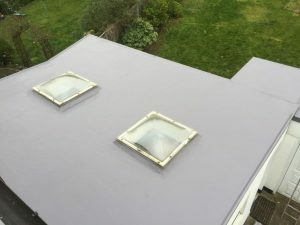 Polyroof Products Ltd is one of the country’s leading suppliers of cold applied liquid roofing systems. Polyroof’s flexible, highly durable and totally waterproof membranes are extensively used in new build and refurbishment projects throughout the country. Polyroof operates throughout the UK via a field sales team and national network of accredited contractors. Polyroof Products is registered to the internationally recognised BS EN ISO 9001:2000 quality standard. The new standard is not just concerned with maintaining quality, but also requires proactive monitoring in all aspects of the business to improve overall performance. This ensures that testing, production, sales, technical support and training are all compliant with strict quality and procedural standards. To maintain the highest standards of quality it is essential that Polyroof products are applied correctly. 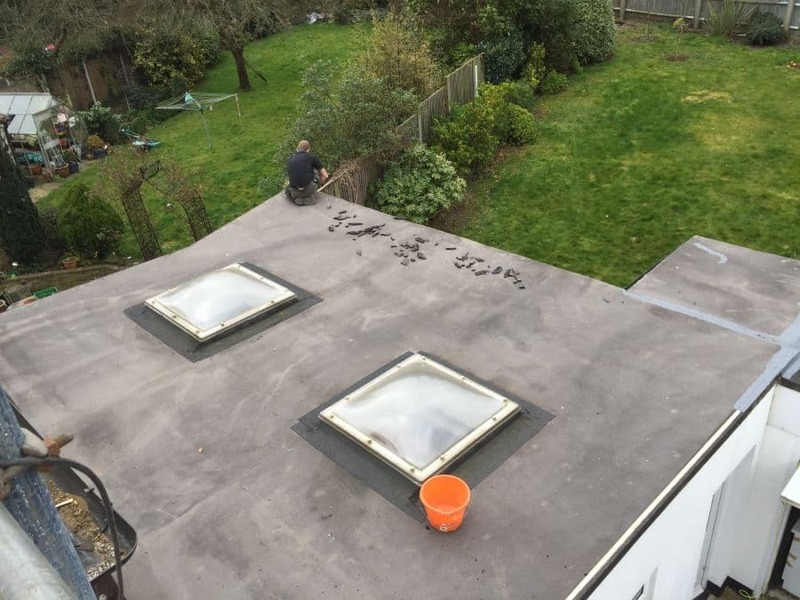 That is why Polyroof systems are only supplied and installed by contractors who are fully trained and licensed by the company, to ensure consistent installation quality and high levels of service. Contractors’ performance is regularly monitored and random installation inspections are carried out to maintain the highest standards. Training not only includes the theory of how the systems should be laid, but also involves on site supervision. Not every contractor who approaches us will meet our tough assessment criteria. 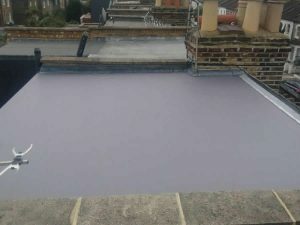 Protec is a cost-effective, cold-applied, fast curing and highly durable reinforced polyester roofing system that is ideal for a range of applications including refurbishments, new build projects and complex roof areas. 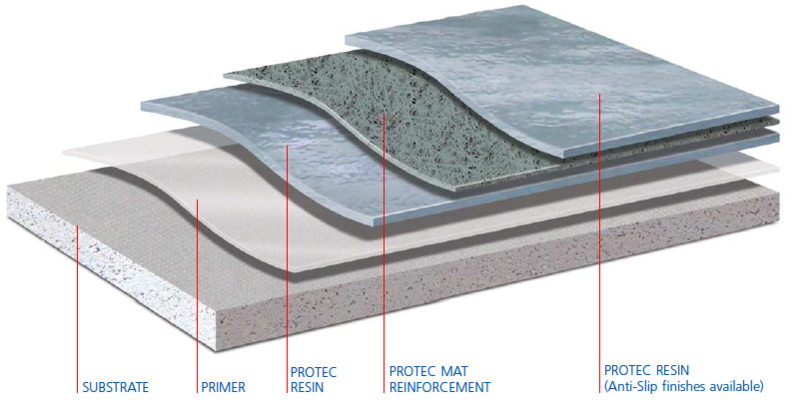 A unique feature of the Protec system is its ability to be applied directly applied to Polyroof ‘RES’ Insulation, eliminating the need for a carrier layer. 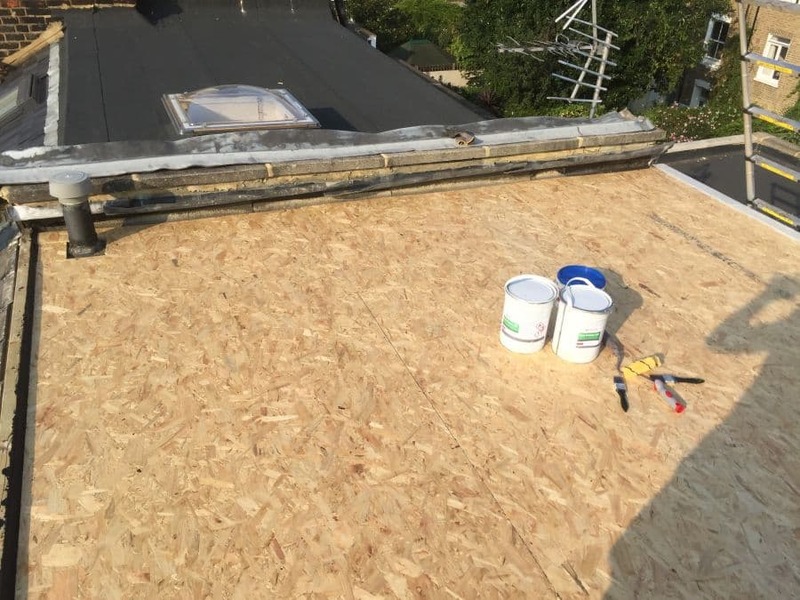 For refurbishments the insulation boards can often be bonded direct to the existing roof, providing a thermal upgrade solution that is unrivalled in its efficiency. With the addition of quartz sand and our PolyFinish MMA system, Protec provides a superior anti-slip finish for balconies and walkways that is durable, impact resistant and capable of withstanding heavy foot traffic. 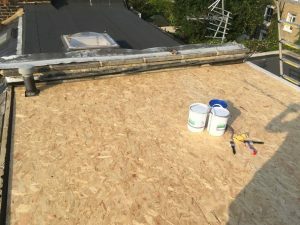 When new insulation is required, the system can be applied direct to Polyroof RES Balcony Board Insulation which provides an extremely tough and impact-resistant warm roof solution. The Protec system carries as standard a 10 year manufacturer’s guarantee and is also available with a 20 year insurance-backed guarantee (subject to specification). The system carries Factory Mutual (FM) and BBA (British Board of Agreement) approval, where it has received a durability rating of at least 20 years.